The MK Way is our refreshed vision, values, strategy and objectives for Milton Keynes University Hospital and have been developed in collaboration with our staff. These are all important as they provide the framework in which we operate, and our values particularly outline what we all believe is important in how we work. All members of #TeamMKUH have a huge part to play in contributing to our goal of providing exceptional patient care and experience and through creating our new strategy, values and objectives, each and every staff member will understand how they can support the organisation in delivering our vision. Our vision for Milton Keynes University Hospital NHS Foundation Trust is to be an outstanding acute hospital and part of a health and care system working well together. We care: We deliver safe, effective and high quality care for every patient. We treat everyone who uses our services, and their families, friends and carers, with dignity, respect and compassion; and we treat each other as we would wish to be treated ourselves. We communicate: We say #hellomynameis; we keep patients informed about and involved and engaged in their treatment and care; and each other informed about what’s happening in our hospital. We know we can speak up to make sure our hospital is safe and our patients are well cared for. We collaborate: We are #TeamMKUH. 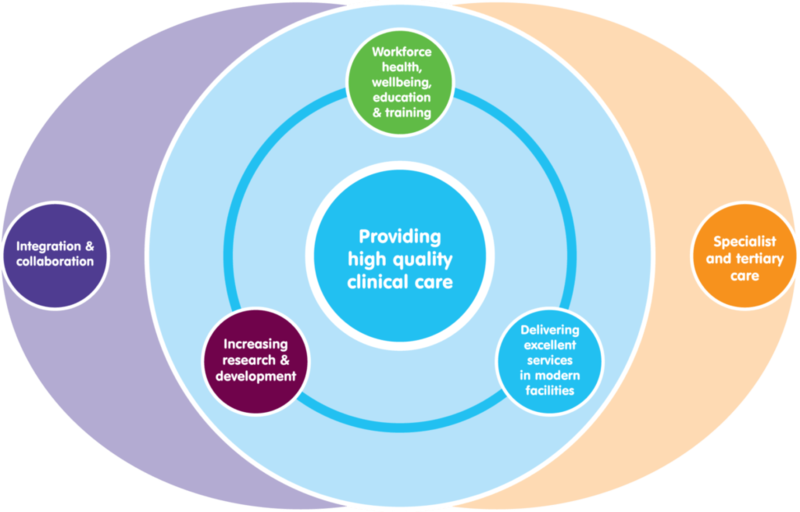 We work together and with GPs, primary care, community care, social care and mental health providers and other hospitals to deliver great care and services for people in Milton Keynes, Buckinghamshire and beyond. We contribute: We develop goals and objectives in support of the hospital’s vision and strategy. We are willing to join in and play our part to make our hospital the best it can be. We acknowledge and share good practice so that others can learn what works well and why, and we learn from others so that we keep improving the care and services we provide.